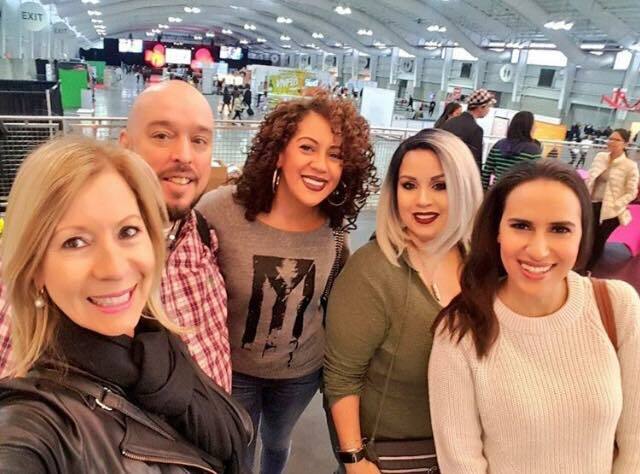 This past weekend People En Español hosted its fifth annual Festival People at the Jacob Javits Center in New York City. This year’s festival is particularly special because People En Español is also celebrating its 20 year anniversary. 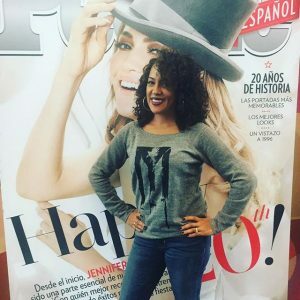 It’s interactive panel discussions, intimate meet-and-greets with today’s top Hispanic celebrities, and family-fun activities makes this one of the premier celebrations of Hispanic culture in the country. 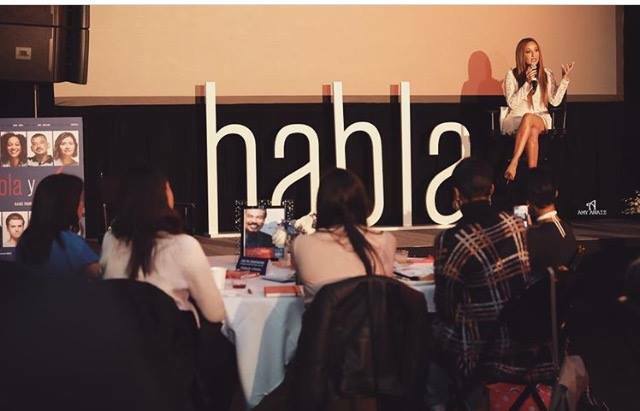 Among the many events taking place during the two day festival was the screening of the HBO Latino documentary Habla y Vota hosted by actress and TV personality Adrienne Bailon. I arrived early and ready to connect with some of the most influential Latinx bloggers and content creators in the game. Upon arriving I met Lynn Ponder of Web City Girls. I also bumped into my favorite fashion blogger Martha Luna from M Doll NYC as well as relationship expert and Sirius XM Radio Personality Sujeiry Gonzalez aka Love Sujeiry. 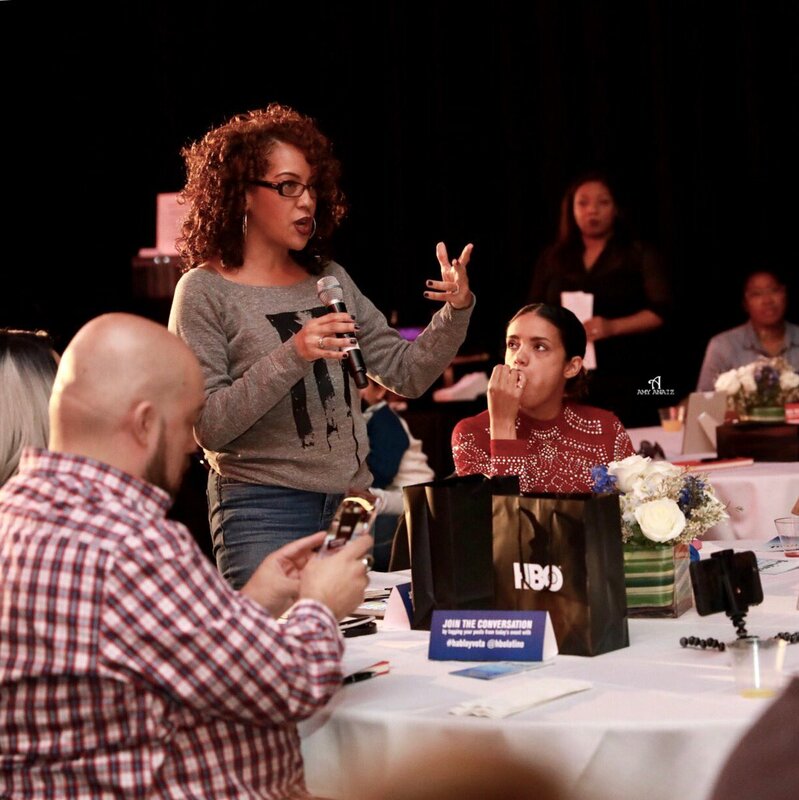 The event which was equal parts screening and Q&A was divided in such a way that after each segment/narrative the audience was presented with a question by host and moderator Adrienne Bailon. 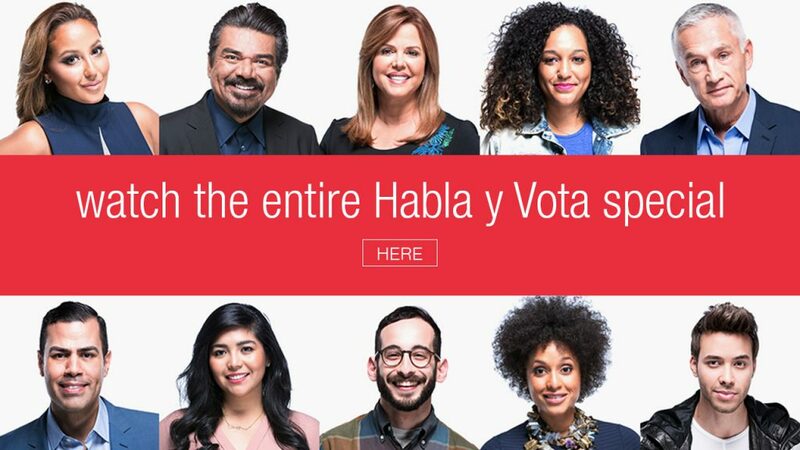 The documentary which includes personal narratives from Latino celebrities and personalities including, Prince Royce, Jorge Ramos, Adrienne Bailon, María Celeste Arraras, Jeimy Osorio, Cristela Alonzo, George Lopez and others, encourages Hispanics to hit the polls this November. Considering the Republican nominee’s views on women, Muslims, and building that wall he says he’s going to make Mexico pay for, it is critical that Latinos make their voices heard through the power of their vote this election year. That was exactly what the documentary as well as the Q&A portion moderated by Ms. Bailon was designed to do. During the hour long screening and Q&A session the audience watched, listened, and engaged in a discussion that put a lens on the power of voting and how our vote shapes the future of this country. Particularly, it sheds lights on the Latino experience in this country and our contributions through the stories of some of today’s most successful and influential Latinos. Comedian and actress Cristela Alonzo shared the story of her mother’s passing and how it wasn’t until her mom passed away that she discovered her mother had suffered three strokes. Cristela’s story is significant because it spoke about the misconception some have about Latino immigrants and how they come to the U.S. to take advantage of the system. Contrary to that misconception, it was that very belief that prevented Cristela’s mother from seeking out the healthcare she desperately needed. She did not want to be a burden on the United States healthcare system. Cristela’s story about her mom isn’t unique. It’s one out of thousands. There are many other immigrant citizens in this country who refuse to seek healthcare for that same reason. They fear being viewed as individuals taking advantage. WATCH THE CONVERSATION ON PERISCOPE! Each of the narratives in the documentary speaks to different reasons on why voting is important. In between segments Adrienne engaged the audience by asking questions that reflected the message of the story being shared in the segment. She did a phenomenal job guiding the conversation, often times sharing personal stories of her own. It was a candid discussion about what it means to be Latino in America. From questions that asked “How do you preserve your Latino identity?” to questions that challenged you to think about the sacrifices one makes in pursuit of the American dream, each one was thought provoking and insightful . The conversation forced us to think about our responsibility not only as Hispanic Americans but as human beings and how through our vote, we are protecting the rights and opportunities our ancestors fought so hard for us to have. Another story that resonated with me was the story actress Jeimy Osorio shared about the ratoncito and the mouse trap. In short, the story explains what happens when the animals on the farm refuse to help the mouse because the problem of the mouse trap does not affect them personally. It really was a great metaphor for the many injustices currently plaguing our communities, but that some chose to ignore because they are not directly affected by them. For some, it is easy to dismiss an issue as being not important when it has no direct influence on their everyday lives. However, what the story of the ratoncito highlights is that everything in this life is connected somehow. In the end it will eventually have an impact on our lives whether we choose to deal with it or not. There were other narratives that touched on issues varying from the use of technology in politics to examining why some choose not to vote. As Prince Royce stated in his segment “I’m just a dude from the Bronx, what’s one vote gonna do?” It’s that kind of thinking that keeps some people home on Election Day. We never believe in the power we have. Somehow we convince ourselves our vote doesn’t matter and that couldn’t be farther from the truth. What I appreciated most about this documentary and the way it was presented is its willingness to showcase how one vote does indeed matter. By allowing us to look at the challenges others in our community face, albeit coming from celebrities, it revealed that when it comes to things like immigration, healthcare, and employment we are all equally impacted by the decisions and policies put in place by our government officials and lawmakers. There are 27 million registered Hispanic voters in this country. Could you imagine if you put 27 million people in one room how loud we would be? That’s what your vote does. It allows you to be heard. So the more of us who vote, the louder we are, and the more they cannot ignore us. So come November 8th, Habla y Vota!